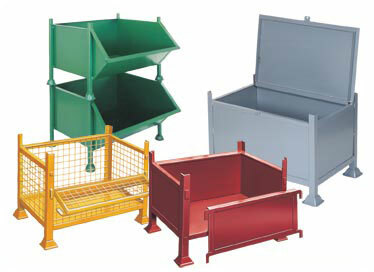 A wide variety of steel pallets are manufactured to suit most requirements. Available in an assortment of colours, the range includes steel pallets, stillages, mesh pallets, lifting pallets, post pallets, and bespoke/special pallets. To take standard Eurosize pallets up to 1200mm.